Webb Designs & Launches Liuzzo Law Site. 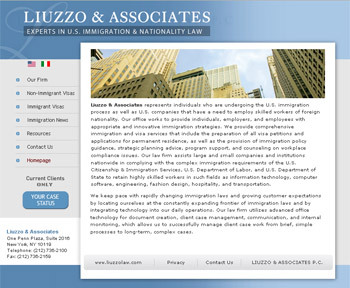 Webb provided website design www.liuzzolaw.com for this leading New York City based Italian immigration law firm. Webb also designed the visual identity and implemented the design of various print materials.